Having a dead battery is always unpredictable. There will be a time where you drive around Walnut Creek and you are stuck in traffic because of your vehicle’s dead battery. No matter how you try to fix it, it is still best to seek the services of a company providing emergency roadside assistance and auto towing. Fortunately, Shield Towing and a network of independent tow truck operators offering 24/7 services on roadside assistance and towing. In case you require car jumpstart in Walnut Creek, there is no need to worry because the company offers affordable services at a very fast response. Our professional team are available 24/7 in order to offer road help if ever you encounter problems with your vehicle. We want to be known in our consistency of providing excellent roadside assistance and towing services. For this reason, we keep a professional team that is composed of highly skilled individuals who have gone through a lot of trainings and experiences. The people we have are our asset and we ensure that they receive the latest training in fixing any vehicle concerns. Aside from that, we have advanced tools and equipments to assure our customers that the services provided are safe and beneficial. 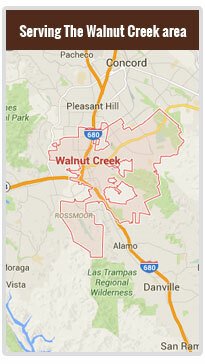 This makes us different among other companies in Walnut Creek. We always keep our eyes in satisfying the customers and giving them affordable services that they can reach. In case you require recharging the battery or even replacing it, Shield Towing is ready to serve you 24 hours a day in 7 days a week. At any time of the day, our professional team is always prepared to respond your needs ASAP. Just contact us at (925) 397-0960 Our lines are open and if you make us a call, we will be there to immediately provide reliable roadside assistance and towing services.